Stay focused and productive with improved performance, instant code cleanup, better search results, and Git integration. Search for settings, commands, and install options with relevant results. Navigate between code issues and apply style and formatting fixes in bulk. Powered by AI, trained by thousands of popular open source repositories. Enjoy natural collaboration through a Git-first workflow, real-time editing and debugging, and code reviews right in Visual Studio. Start coding quickly by cloning or checking out code from an online repository. Collaborate with anyone on the same codebase without needing to replicate their environment. 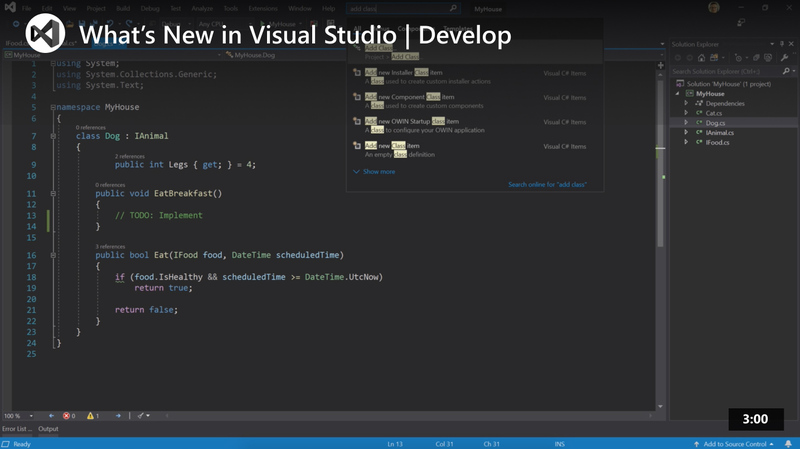 Create, review, and comment on Pull Requests from Azure Repos inside Visual Studio. Highlight and navigate to specific values, optimize memory use, and take automatic snapshots of your application’s execution. 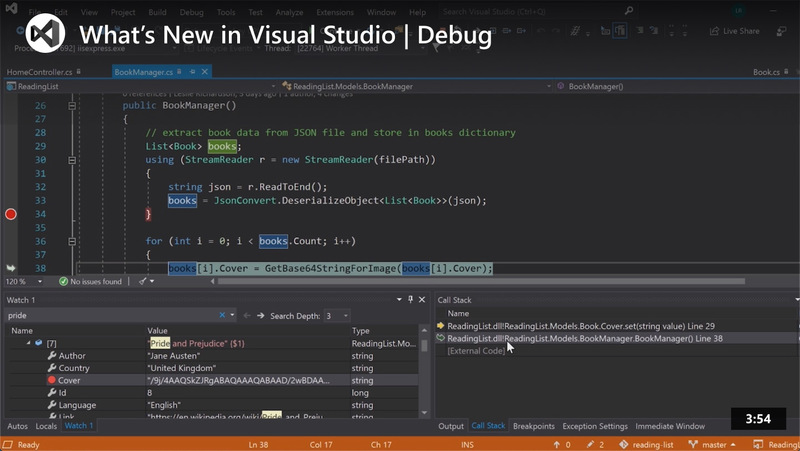 Use an improved C++ debugger that handles large, complex apps with an external process. Find objects and values quickly with new search abilities in Autos, Locals, and Watch windows. Get a snapshot of your app’s execution in the cloud to see exactly what’s happening.